" Fits the Breathe-free Hypoallergenic CPAP Pillow like a glove. " 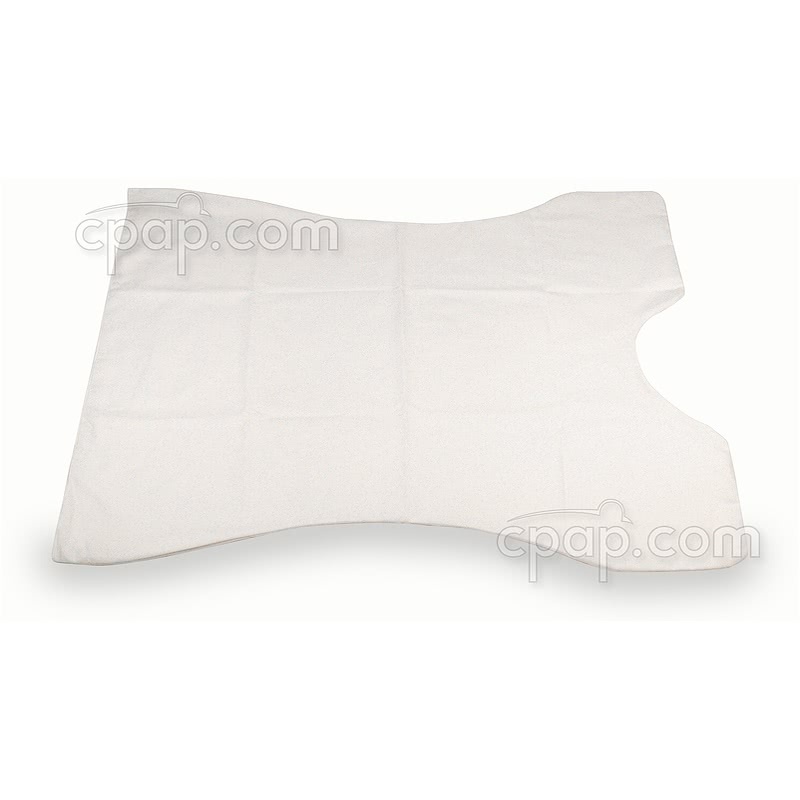 This is the replacement pillowcase for the Breathe-free Hypoallergenic CPAP Pillow. This purchase includes the replacement pillowcase only. The pillow is not included. 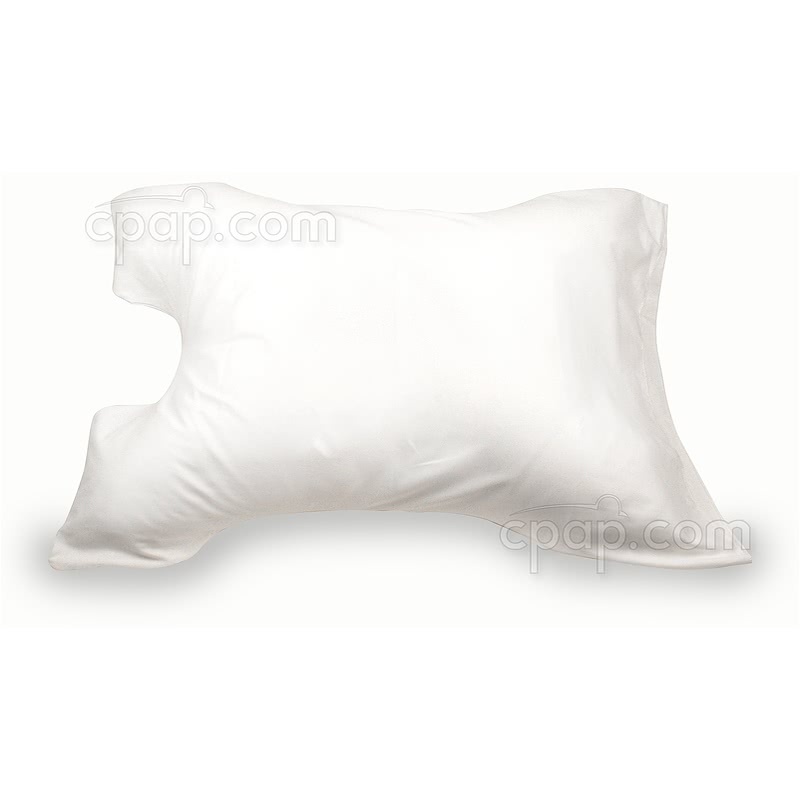 Pillowcase Size (without pillow inserted): Approximately 28" x 20 1/2"
Cleaning the Pillowcase: Machine wash, use only non-chlorine bleach when needed. Machine dry. Do not iron. 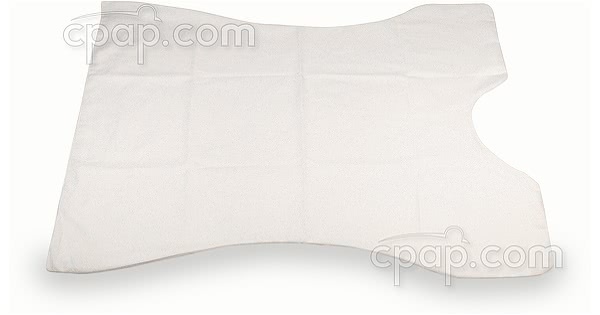 As of 2013, the Pillowcase for the Breathe-free Hypoallergenic CPAP Pillow changed from having both ends contoured to the shape of the pillow to having one end contoured and the other end straight. The opening of the pillowcase does not have a zipper.